Supply Ability: 1000 Per week. Levitating Desk Lamp – This fun lamp uses suspension technology and a "floating" light bulb that automatically "detaches" and turns on when you flip on the power and reattaches when the power goes off! 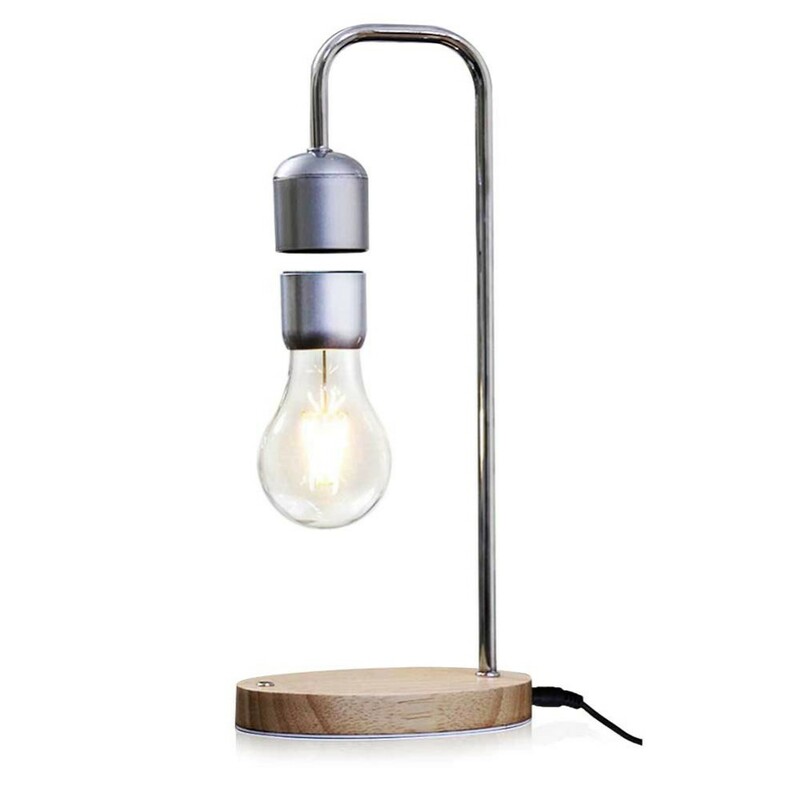 Vintage Edison Bulb – Providing a soft, warm glow that's perfect for living rooms, college dorms, professional offices or work spaces, or even a bedroom, you'll love the cool, trendy Edison bulb style. Smart Touch Switch – Each computer desk lamp features a small touch switch that lets you flip it on or off with a single press. This makes it easier to use for teens and adults alike. Enhanced Safety and Durability – The high-quality wooden base and metal arm provide strong, stability reliability, while the bulb is made from a thick, heat-resistant glass to provide extra protection. Energy Efficient and Low Power Consumption – These magnetic floating bulbs aren't just fun to look at they also require less power while the bulbs provide up to 50,000 hours of continuous use to help you save money. 3 years warranty with UL/FCC /ERP etc. approval. Ressan is the pioneer of many WiFi &amp;amp;amp;amp;amp; Bluetooth products technologies. With powerful R&amp;amp;amp;amp;amp;D and sales team, quickly response to support your business. Shenzhen Ressan Technology Co., LTD is a high tech enterprises which is specialized in researching, designing, producing and marketing high level products.